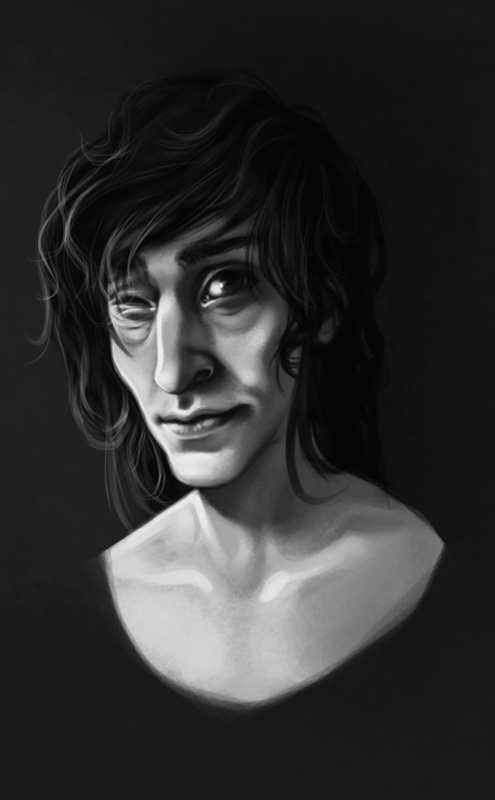 Another greyscale pic, this time a portrait of a character of mine. He's pretty old by now and every time I draw him he changes slightly but I'd say he's 90% there now. Huzzah.